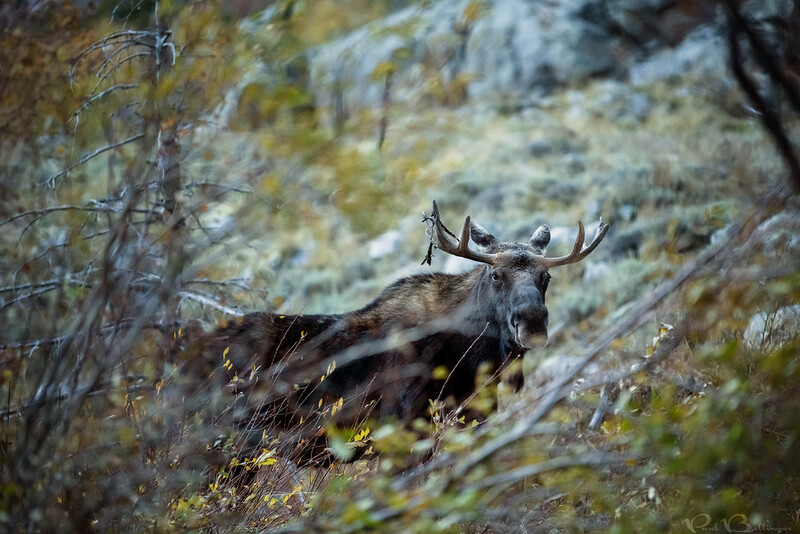 PAUL BELLINGER PHOTOGRAPHY: MONTANA WEDDING PHOTOGRAPHER - SURPRISE MOOSE! I took some photos from the bed of our truck once we safely passed. I’m about six feet tall and was standing at least a few feet off the ground in the bed of the truck, so that gives you some idea of how tall this guy is. I’ve seen my fair share of moose and this is definitely one of the biggest. We were on our way up to Rosebud lake to scout a location for a Montana mountain engagement session. Red Lodge is an ideal destination for a Montana wedding because it’s located close to Billings and is the gateway to Yellowstone. Not to mention Red Lodge is beautiful all by itself. I can’t wait to shoot a Red Lodge wedding soon.